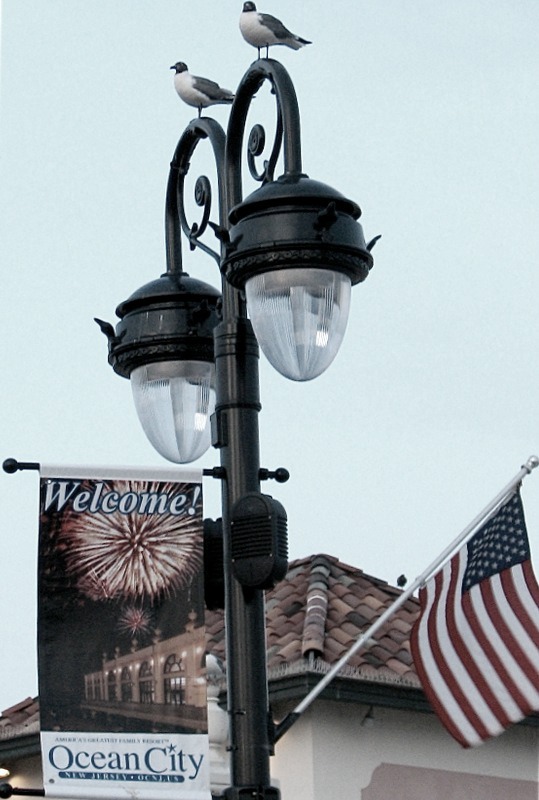 Each summer our family heads to Ocean City, NJ, for a week long family vacation. There’s nothing quite like the sound of ocean waves to make me get into relax mode! I also like to do a little retail therapy while I’m at the beach! The shops there are full of nautical theme and coastal decor! I love it, but I don’t live at the beach – so my home isn’t going to reflect that nautical theme or coastal style for everyday living. However, I do like to add touches of nautical style into my decor in the summertime. 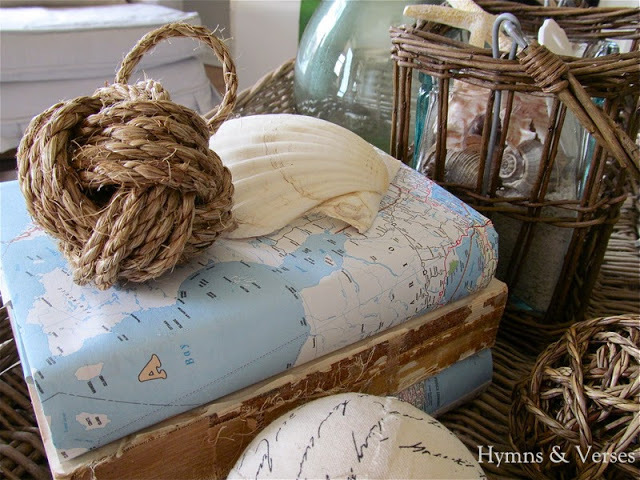 Today, I’m going to share a super simple way to add a touch of nautical theme decor for just a few dollars using books you have on hand and maps. When’s the last time you made a book cover? I know for me ,it goes back to the early elementary years of my older boys – now in their 20’s! 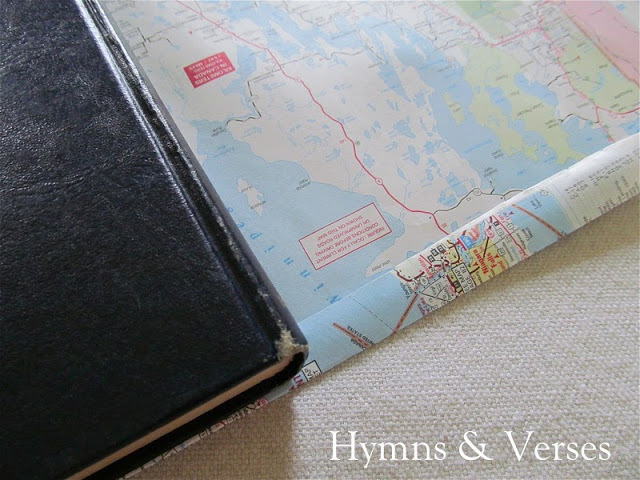 So today, I’m going to show you how to make a book cover with a map. First – choose your map. Mr. C had an old atlas map book in the garage that he let me take apart to use for this project. You can also pick up new maps at many convenience stores that sell gas. Or, look for large books with old maps in your local thrift stores. I tried to find pages with water areas – making the finished book covers look more coastal. 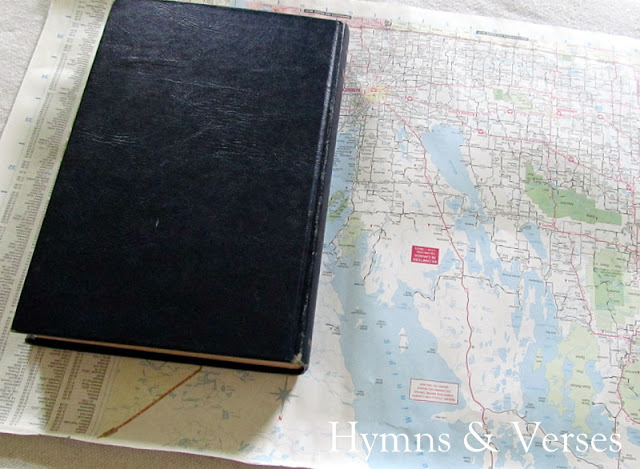 Find a book that fits your map – make sure your map is at least one inch longer in height than your book and four inches longer in width than your open book. 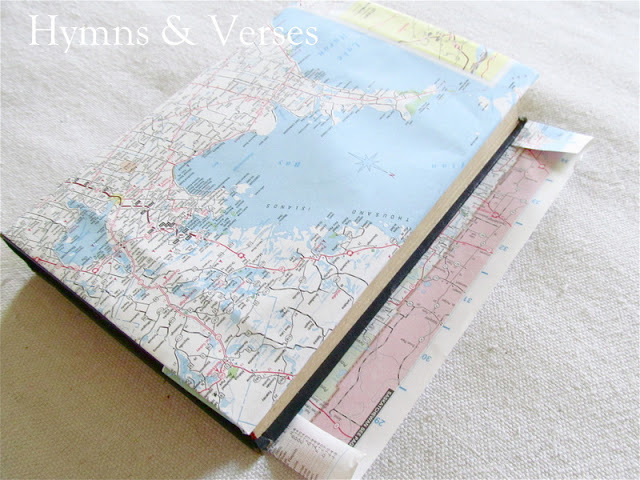 This is my book on the map page I used. 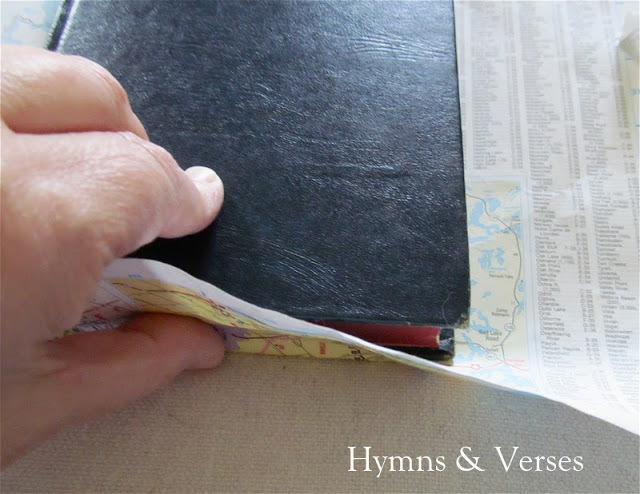 Fold the bottom edge of your map and line your book bottom up with the folded edge. 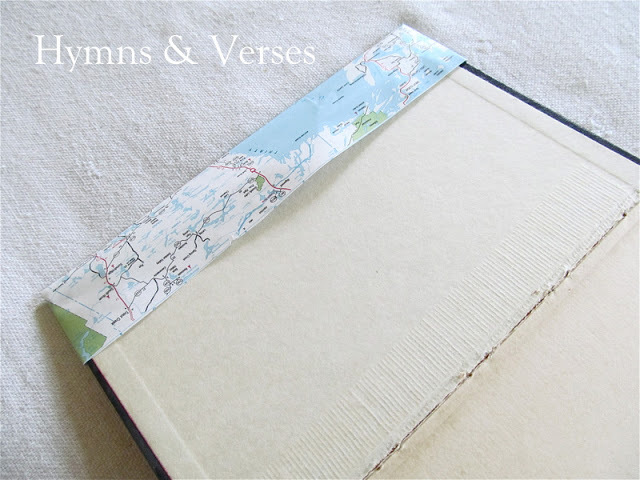 Next, fold the top edge of the map to meet the top of your book. 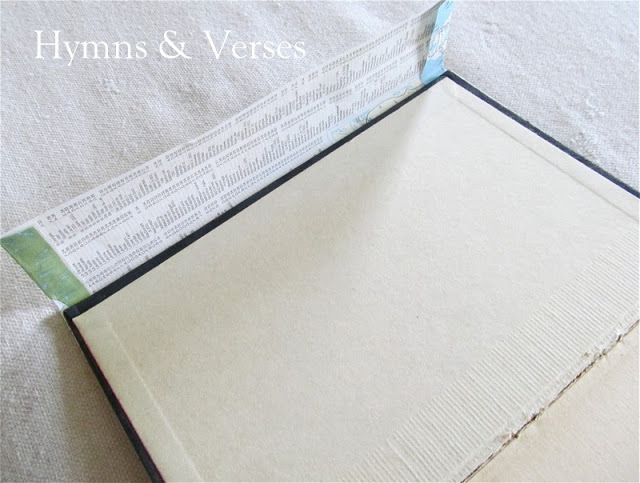 Use your fingers to make a crease with the book edge and then make a straight fold. Now your map should be the same height as your book. 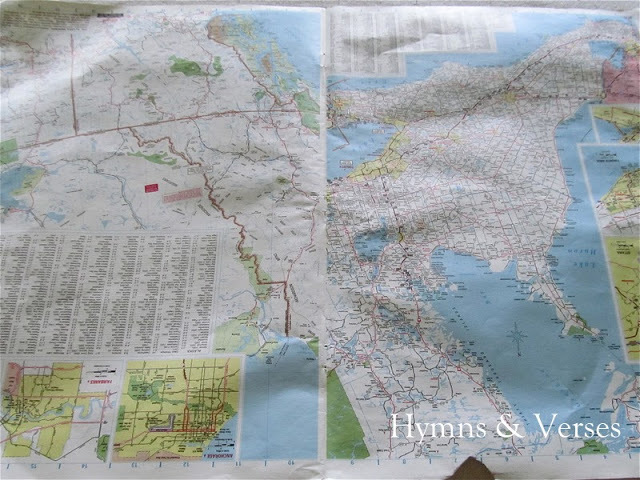 Open the front cover of your book and fold the map over the left edge, leaving about 1 – 1 1/2 inches of map. 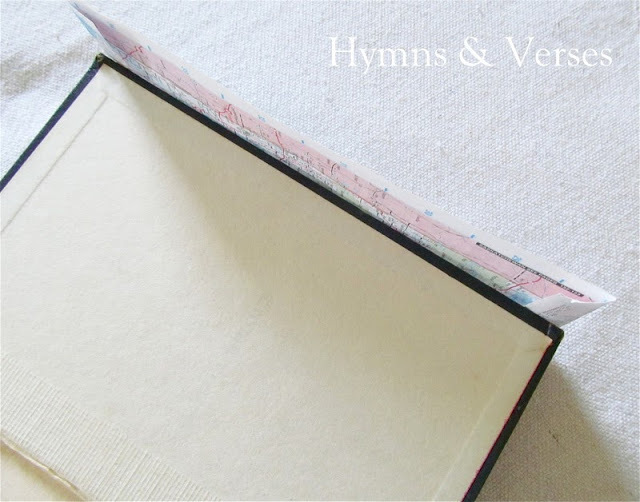 See the side slits from the top and bottom folds – just guide the hard cover of your book into those slits until you reach the fold line you made. This is what it will look like from the inside. Now onto the other side. Close the front cover and see how much map you have left on the back side. You should have about 1 – 1 1/2 inches as shown. Fold the remaining map to make a crease and insert the back cover into the side slits the same way you did for the front. And, there you have it – your finished book cover! These nautical theme covered books look great stacked and add a nice coastal touch to your decor! If you’d like to make your own nautical rope knot like the one above, click HERE. 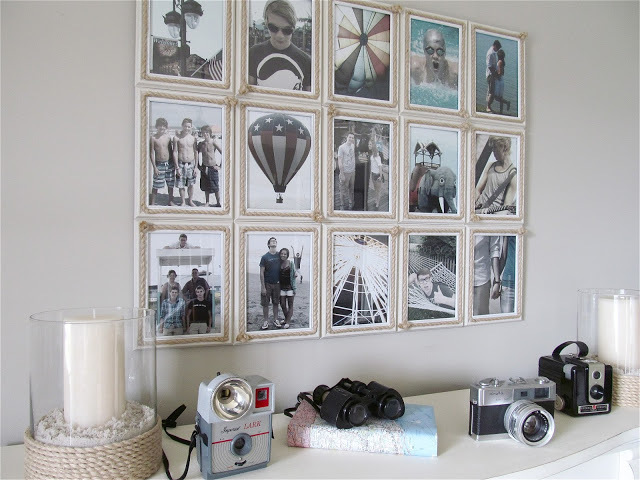 Or, if you want to make a nautical/coastal photo collage using dollar store frames and rope, click HERE. I hope you’ll follow me on Pinterest! I’m there everyday, pinning inspiration for me and YOU! 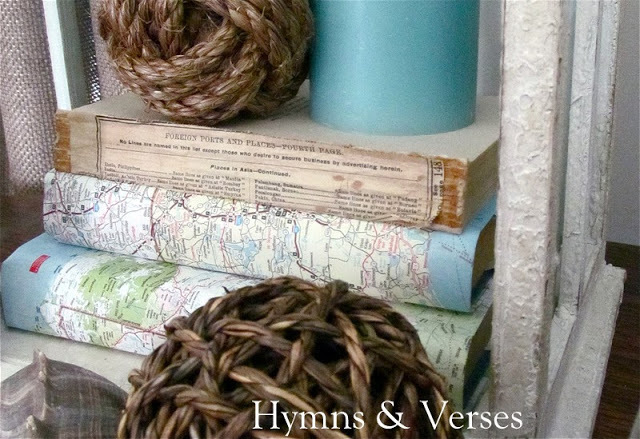 Maps look so great in nautical decor! I would love to try this project! Enjoy your day! Happy summer! I love your idea, Doreen! A nice way to hide some not so pretty books. also, wouldn't it be fun to cover a novel with the map of where the novel takes place? Mark and brothers are in my prayers. Now THAT'S summer style. Such a swanky way to dress up a vignette for summer. Doreen, what great décor for summer. Love the covered books. Thanks for showing how to do it. Been so long that I had forgotten how. So happy to have you share with SYC. 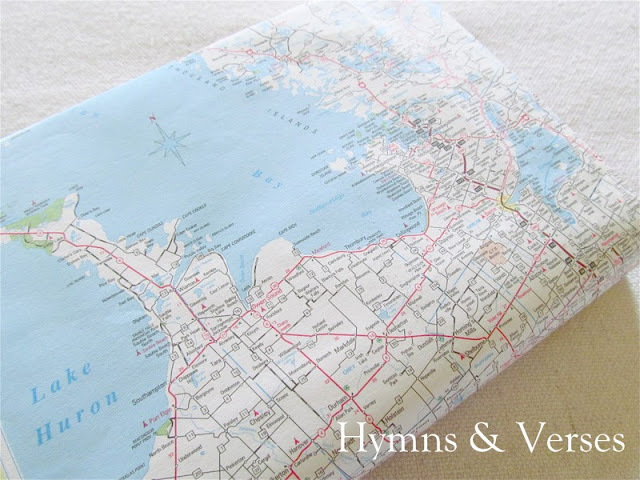 Do you have an inexpensive place to buy maps? They are often hard to find. Please advise me! Thanks. I love the map book covers. I now have three books covered in cloth in patterns to match my decor in the living room. Love to show books in a vignette. I’ve always had a thing for old, antique looking maps. Making a book cover out of one sounds like an excellent project. Thanks for sharing! I’m so glad you are going to give it a try!! !